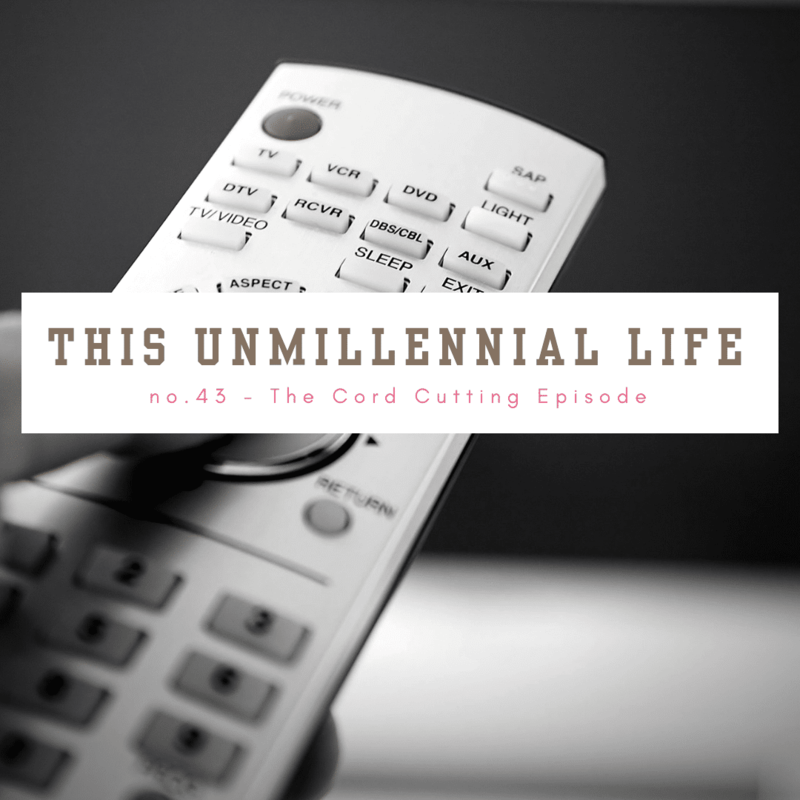 Raised on cableTV, unmillennials may be slower to “cut the cord”. But the cost-savings make cord cutting appealing to many customers, no matter their age. As a generation raised during the rise of cableTV, unmillennials may find themselves a little slower to “cut the cord” than their younger millennial counterparts. But the cost-savings and freedom of choice for channels make cord cutting appealing to many customers, no matter their age. I round out this episode with some odds & ends including a follow up about Season 2 of Ozark and a new recommendation for a binge-worthy podcast, Dr. Death. I share listener feedback from both The Intermittent Fasting Episodes and The Chores Episode. If you’ve already cut the cord, please tag me on social media and share your experiences! I always love to hear from fellow unmillennials what you think. You can join me and other fans of the show over at the This Unmillennial Life Facebook Group or connect with me via Instagram, Tweet Me @ReganJonesRD, leave me a voicemail or email me regan[at]thisunmillenniallife[dot]com. And as always, I hope you find this show helpful. If you have a show idea you’d like to hear about, let me know and submit a show idea here! Musical support provided by Ben Williams at Kudzu Studio. Website support provided by Katy Widrick at MakeMediaOver.com. Additional support provided by Robin Plotkin of RobinsBite.com.